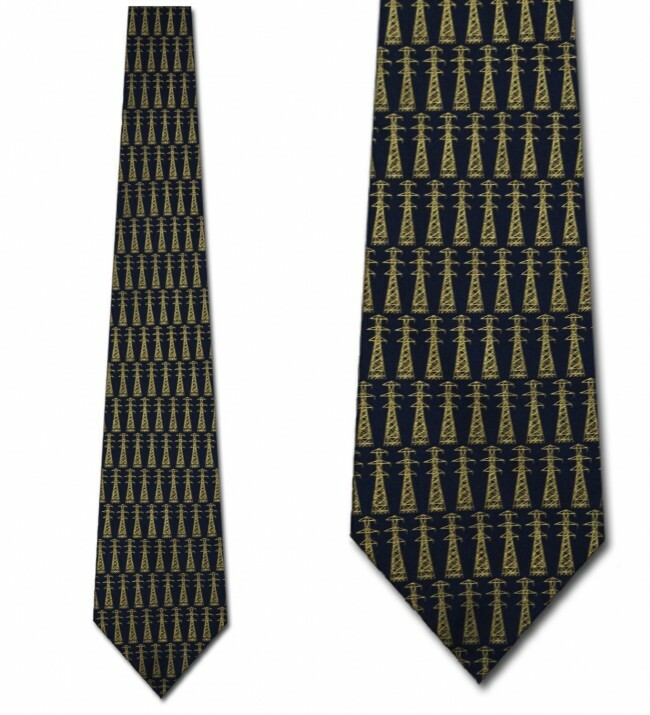 Electrify your outfit with this Power lines Allover necktie.This design was originally custom made for the American Transmission Company but is now available to the public, lucky you! 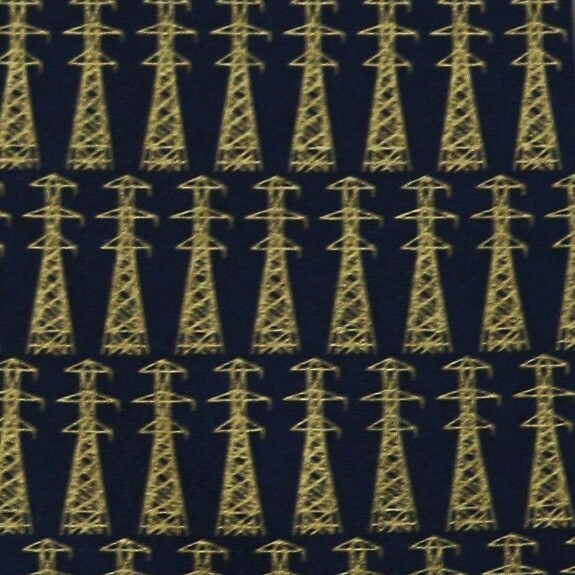 Tie features a repeat pattern of gold power lines on a navy blue background. You'll be sure to light up the room when you wear this Power lines Allover neck tie. 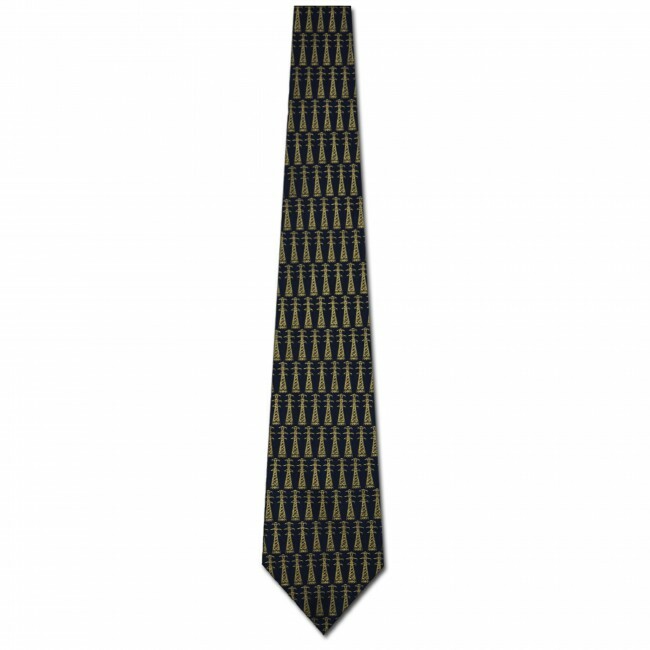 Hand crafted in 100% silk to provide years of enjoyment.